Would you trust a stranger with something important to you? Choosing non-genuine accessories for your Nissan vehicle is like trusting a stranger with your vehicle's performance and safety. Only Nissan Genuine Accessories are designed and developed specifically for your vehicle. By fitting Nissan Genuine Accessories you can rest easy knowing our high quality standards ensure the perfect fit, increased safety and reliability, allowing you to future-proof your Nissan. 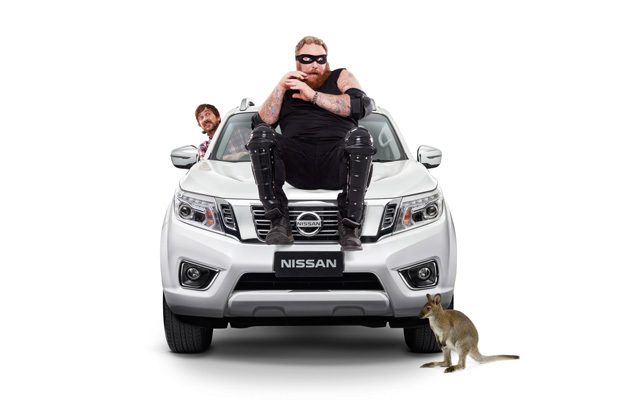 Your Nissan vehicle is an important investment so don’t compromise on safety or reliability – beware of non-genuine parts and always insist on Nissan Genuine. Nissan Genuine Accessories have undergone thousands of hours of rigorous testing to meet the highest standards of quality and performance, as your safety is our priority. Nissan Genuine Accessories are built to be reliable, with the added peace of mind that they are covered by the Nissan New Vehicle Warranty. Nissan Genuine Accessories are made to perfectly fit your vehicle, ensuring it runs at its optimum level and is ready for any adventure. Only Nissan Genuine Accessories keep your vehicle complete, just like the day you bought it, maintaining its resale value. Warranty: Nissan Genuine Accessories are built to Nissan's exacting quality standards and are backed by the confidence of Nissan's three (3) year or 100,000km New Vehicle Warranty when fitted to a vehicle in a Nissan authorised workshop at the time of vehicle purchase.. NOTE: Our goods come with guarantees that cannot be excluded under the Australian Consumer Law. The customer is entitled to a replacement or refund for a major failure and compensation for any other reasonably foreseeable loss or damage. The customer is also entitled to have the goods repaired or replaced if goods fail to be of acceptable quality and the failure does not amount to a major failure.